For years, social media sites—and virtually every site online—have been scraping together bits and pieces of your online browsing habits to create an eerily accurate picture of who you are. While some people may not realize (or care) about how their data is being used, the fact still remains that websites are getting better at marketing to your specific needs and beliefs. This means the more data a company has, the more power it has over you. Fortunately, you don't have to be at the whim of big data. Here's how you can take internet privacy back into your own hands and surf anonymously. Sure, turning off your browser's cookies, emptying your cache, and opening an incognito window may help reduce your digital footprint, but it doesn't mask it entirely. That's because these types of private browsing tools do nothing to obscure your actual IP address, which means your ISP (internet service provider) can still see and record your browsing data. That's right—your internet browser may not record or log your info, but that doesn't mean it isn't there. The same holds true for mobile browsing: your ISP records website traffic as well as call logs. If you really want to be able to take advantage of anonymous browsing, you're going to need to use either a proxy server or VPN (virtual private network). While both make it possible for a person to browse on a server other than their own, VPNs are generally considered more useful because they're able to encrypt and anonymize your entire network (a proxy simply anonymizes the specific web browser you're using). More than that, VPNs are incredibly easy to use. There's simply no better tool if you want to surf anonymously. A VPN makes it possible for users to access the web from another location. By masking your IP address and letting you take on another address in a different location, you're able to browse the web as if you were actually in another country or city. And because websites think you're browsing from a different region, location-restricted content that may have been unavailable before will suddenly be accessible. People use VPNs in heavy censorship countries like China to access YouTube, Google, and other blacklisted sites. But even if you don't want—or need—to access blocked sites, a VPN is still useful as it masks your actual IP address and lets you browse the web with added privacy. It can also help normalize streaming speeds in the event that your ISP is throttling your web traffic. This is a common issue for people with limited data plans. Think of it like this: if your computer is the starting point and the websites you visit are the destination, a VPN puts a blanket over your web traffic. This means no one can see which sites you're visiting, and, therefore, can't spy on you or record your data. Most VPN services also come with their own encryption protocols, meaning you're able to browse the web anonymously while having more freedom to access the sites you services you want. 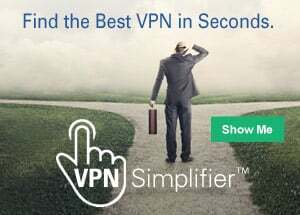 With Netflix, Hulu, and other streaming services growing in popularity, being able to pick and choose your VPN protocol makes it easier to stream without having to worry about buffering or slow load times. While VPNs were once reserved for the technologically elite, they've made their way into mainstream culture over the years due to an emerging cultural stance on user privacy. That said, there's been a heavy influx of fly-by-night VPN providers, and where some VPNs offer a comprehensive service, others come with a host of concerns. Free VPNs, for example, are typically riddled with privacy problems. In fact, it's worth avoiding free VPNs entirely. As most take their revenue by either selling data logs or selling user bandwidth (or both), these services are essentially profiting off your privacy. When it comes to free VPNs, YOU are the product—not the other way around. If you really want to browse anonymously, we recommend going with ExpressVPN. They're one of the few VPN providers who not only provide a logless service, they're also a vocal advocate for user privacy. And because they're based in the British Virgin Islands, they don't have to comply with strict U.S. or EU data requirements. An anonymous VPN can help you reclaim your digital privacy and browse the web freely—the way it was meant to be. Just remember that every site you visit leaves a trace, so if you truly want to hide your IP, you'll need to use a VPN on every internet-enabled device you own.